Rome-SSPX: "We cannot be 88ers"
Following our Jubilee [pilgrimage] in the year 2000, Rome took the initiative of establishing new relations. Today, the same Cardinal, having become Pope, has told us that the Tridentine Mass has never been abrogated (July 7, 2007: "It is, therefore, permissible to celebrate the Sacrifice of the Mass following the typical edition of the Roman Missal promulgated by Bl. John XXIII in 1962 and never abrogated"); he rehabilitated our four Bishops (January 21, 2009); he accepted that we pursue doctrinal discussions for two years... all things that Abp.Lefebvre did not demand in 1988. It is not an exaggeration to say that Bp. Fellay achieved more than what Abp. Lefebvre asked for, without having the latter's prestige or moral authority. Should we then be even more demanding than Abp. Lefebvre or Bp. Fellay? The readings for Matins in the Roman Breviary introduce the book of the Apocalypse (Revelation) of Saint John this week - and in this awe-inspiring piece of Holy Writ, a Catholic can see it everywhere: from the Blood and Sacrifice, to the martyrs and the omnipresence of the Lamb. 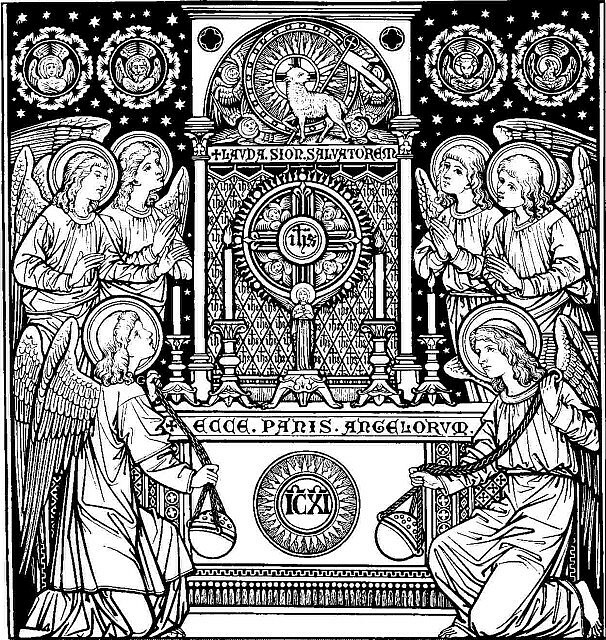 It is the Mass, the center of human history, re-presenting the Sacrifice of the Son of God, prefiguring the time when History will be no more, when eternity finally sets in for all, those who remain with the Lamb, and those who forever remain far from Him. How often have we, Traditional-minded Catholics, heard that "it is not just about the Mass," "this struggle is about more than the Mass," "do not focus 'only' on the Mass"?... Yet, is it "only" the Mass? Even for those living in critical personal situations, this world is materially more comfortable than what most of our ancestors ever knew. How can so much material well-being be so empty? Our comfortable world is a spiritual wasteland: in this desert, there is one source of true solace, the living waters and the aspersion of Blood flowing from the Lamb. Yes, it is all about the Mass, it is about doing our best so that others may know it and love it, the treasure preserved by our forefathers, as we do; we must "take the blood" of the Lamb "and put it upon our forehead", as Saint Catherine of Siena said. May the Holy Sacrifice be our mark, no effort should be spared in making more people aware of the real presence of the slain Lamb upon our altars through the tireless action of His Priests in its clearest and most unequivocal form in the Latin Church, the Traditional Latin Mass. We should not use a foolish humility, as do secular men of the world. 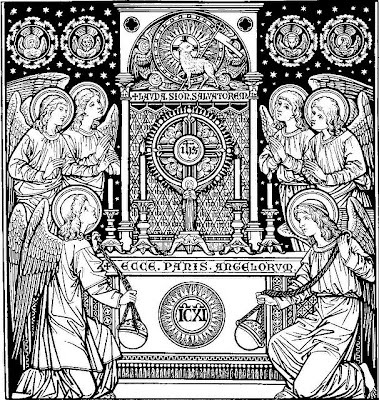 I say, it befits us to receive that sweet Sacrament, because it is the food of souls without which we cannot live in grace. Therefore no bond is so great that it cannot and must not be broken, that we may come to this sweet Sacrament. A man must do on his part as much as he can, and that is enough. How ought we to receive it? With the light of most holy faith, and with the mouth of holy desire. In the light of faith you shall contemplate all God and all Man in that Host. Then the impulse that follows the intellectual perception, receives with tender love and holy meditation on its sins and faults, whence it arrives at contrition, and considers the generosity of the immeasurable love of God, who in so great love has given Himself for our food. Because one does not seem to have that perfect contrition and disposition which he himself would wish, he must not therefore turn away; for goodwill alone is sufficient, and the disposition which on his part exists. The Tallahassee Latin Mass Society is being re-established to develop a regularly scheduled Traditional Latin Mass (1962 Missal) for the eastern area of the Pensacola-Tallahassee diocese. This re-establishment came about at the request of Archbishop Thomas Wenski of Miami, while he served as interim apostolic administrator of the diocese. All who are interested in gradually developing this ministry are welcome! "The revolution inside the Catholic Church was on the part of the clergy"
Catholic News Service's companion piece to this video: New generation, old rite: the enduring appeal of Catholic tradition. *souls that are dragged along lacking any capacity in decision-making, after their contamination with the world. I believe it is difficult for the ecclesiastical spirit to exist in our times, because of its characteristics, if the desire and respect for the ecclesiastical habit is absent. […] It is not only with “ecclesiastical dress” that we are concerned here, but with the cassock itself. *That the defense of the cassock be the defense of vocation and vocations. My duty as Pastor obliges me to look at things very much from afar. I had to reproach the introduction of the clergyman's suit above the law, and the degradation of ecclesiastical dress are a cause, probably the primary one, of the serious decay in ecclesiastical discipline in Italy. Those who love the priesthood do not play around with the uniform! The Easter Bunny is Catholic. Here's proof. 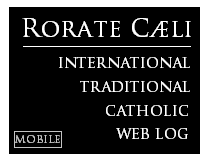 Below, please find the fifty-sixth posting of enrolled souls of the Rorate Caeli Purgatorial Society, which has 15 holy priests saying regular Traditional Latin Masses for the souls. It's pleasing to see souls from new countries against this week, even from each region of Africa. Benedict XVI to the German Episcopal Conference on "Pro Multis"
During your visit on 15 March 2012, you informed me that there is still no unanimity among the bishops of the German-speaking world with regard to the translation of the words “pro multis” in the Eucharistic Prayers of the Mass. There seems to be a risk that in the new edition of Gotteslob that is due to be published shortly, some parts of the German-speaking world wish to retain the translation “for all”, even if the German Bishops’ Conference should agree to use “for many”, as requested by the Holy See. I promised that I would write to you on this important matter, in order to circumvent a division of this kind at the very heart of our prayer. This letter that I am addressing through you to the members of the German Bishops’ Conference will also be sent to the other bishops of the German-speaking world. Let me begin with a brief word about how the problem arose. In the 1960s, when the Roman Missal had to be translated into German, under the responsibility of the bishops, there was a consensus among exegetes to the effect that the word “many” in Is 53:11f. is a Hebrew expression referring to the totality, “all”. It would follow that the use of the word “many” in the institution narratives of Matthew and Mark is a Semitism and should be translated “all”. This argument was also applied to the Latin text that was being translated directly, and it was claimed that “pro multis” points beyond the Gospel narratives to Is 53 and should therefore be translated “for all”. This exegetical consensus has collapsed in the meantime: it no longer exists. In the official German translation of the Scriptures, the account of the Last Supper includes the words: “This is my blood, the blood of the covenant, that is poured out for many” (Mk 14:24; cf. Mt 26:28). This highlights something very important: the rendering of “pro multis” as “for all” was not merely a translation but an interpretation, a well-founded interpretation then as now, but an interpretation nevertheless, something more than a translation. In a certain sense, this combination of translation and interpretation was one of the principles that governed the translation of liturgical books into modern languages immediately after the Council. It was realized how remote the Bible and liturgical texts were from the linguistic and conceptual world of people today, so that even in translation they were bound to remain largely unintelligible to worshippers. It was a new development that the sacred texts were now being made accessible to worshippers in translation, and yet they would remain remote from their world, indeed that remoteness was made manifest for the first time. So it seemed not only justifiable but even necessary to build interpretation into the translation and in this way to speak more directly to the listeners, whose hearts and minds these words were intended to reach. Up to a point, the principle of translating the content rather than the literal meaning of key texts is still justified. Since I constantly have to say liturgical prayers in a variety of languages, though, it strikes me that the different translations sometimes have little in common and that often the common text underlying them can scarcely be detected. Some banal elements have also crept in, which are real impoverishments. So over the years it has become increasingly clear to me personally that as an approach to translation, the principle of structural as opposed to literal equivalence has its limits. In accordance with insights of this kind, the instruction for translators Liturgiam Authenticam, issued on 28 March 2001 by the Congregation for Divine Worship, shifted the focus back onto the principle of literal equivalence, without of course requiring a one-sided verbalism. The important insight underpinning this instruction is the above-mentioned distinction between translation and interpretation. It is necessary both for Scripture and for liturgical texts. On the one hand, the sacred text must appear as itself as far as possible, even if it seems alien and raises questions; on the other hand the Church has the task of explaining it, so that within the limits of our understanding, the message that the Lord intends for us actually reaches us. Not even the most sensitive translation can take away the need for explanation: it is part of the structure of revelation that the word of God is read within the exegetical community of the Church – faithfulness and drawing out the contemporary relevance go together. The word must be presented as it is, with its own shape, however strange it may appear to us; the interpretation must be measured by the criterion of faithfulness to the word itself, while at the same time rendering it accessible to today’s listeners. In this context, the Holy See has decided that in the new translation of the Missal, the words “pro multis” should be translated as they stand, and not presented in the form of an interpretation. In the place of the interpretative explanation “for all”, the simple rendering “for many” must appear. Let me take the opportunity to point out that neither Matthew nor Mark uses the definite article, so it is not “for the many”, but “for many”. If this decision makes a great deal of sense, as I hope it does, in terms of the fundamental relationship between translation and exegesis, I am also aware that it poses an enormous challenge to those with the task of explaining the word of God in the Church, since to the ordinary church-goer it will almost inevitably seem like a rupture at the heart of the sacred. They will ask: did Christ not die for all? Has the Church changed her teaching? Can she do so? May she do so? Are there reactionary forces at work here to destroy the heritage of the Council? We all know from experience of the last fifty years how deeply the alteration of liturgical forms and texts touches people’s souls. How greatly perturbed people will be, then, by a change in the text at such a key moment. This being so, when the decision was made to opt for the translation “many”, in view of the difference between translation and explanation, it was established at the same time that a thorough catechesis would be needed to prepare the way for this translation in the various language regions: the bishops would have to help the priests, and through them the lay faithful, to understand exactly what this is about. Prior catechesis is the essential condition for adoption of the new translation. As far as I am aware, no such catechesis has yet taken place in the German-speaking world. The purpose of my letter is urgently to ask all of you, my dear Brother Bishops, to develop a catechesis of this kind, to discuss it with the priests and to make it available to the lay faithful. The first element in such catechesis would have to be a brief explanation as to why the word “many” was rendered as “all” in the translation of the Missal prepared after the Council: in order to express unequivocally, in the sense willed by Jesus, the universality of the salvation that he brought. The question immediately arises: if Jesus died for all, then why did he say “for many” at the Last Supper? And why do we retain these words of Jesus for the institution? Here it must be added straight away that according to Matthew and Mark, Jesus said “for many”, while according to Luke and Paul he said “for you”, which seems to narrow the focus even further. Yet it is precisely this that points towards the solution. The disciples know that Jesus’ mission extends beyond them and their circle, they know that he came to gather together the scattered children of God from all over the world (Jn 11:52). Yet this “for you” makes Jesus’ mission quite concrete for those present. They are not simply anonymous elements within some vast whole: each one of them knows that the Lord died precisely for me, for us. “For you” covers the past and the future, it means me, personally; we, who are assembled here, are known and loved by Jesus for ourselves. So this “for you” is not a narrowing down, but a making concrete, and it applies to every eucharistic community, concretely uniting it to the love of Jesus. In the words of consecration, the Roman Canon combined the two biblical formulae, and so it says “for you and for many”. 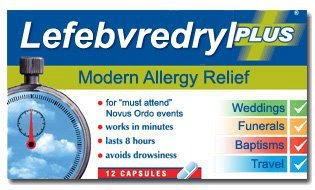 This formula was then adopted for all the Eucharistic Prayers at the time of the liturgical reform. Once again, though, we ask: why “for many”? Did the Lord not die for all? The fact that Jesus Christ, the incarnate Son of God, is the man for all men, the new Adam, is one of the fundamental convictions of our faith. Let me recall just three Scriptural texts on the subject: God “did not spare his own Son but gave him up for us all”, as Paul says in the Letter to the Romans (8:32). “One has died for all,” as he says in the Second Letter to the Corinthians concerning Jesus’ death (5:14). Jesus “gave himself as a ransom for all,” as we read in the First Letter to Timothy (2:6). So the question arises once more: if this is so clear, why do we say “for many” in the Eucharistic Prayer? Well, the Church has taken this formula from the institution narratives of the New Testament. She says these words out of deference for Jesus’ own words, in order to remain literally faithful to him. Respect for the words of Jesus himself is the reason for the formulation of the Eucharistic Prayer. But then we ask: why did Jesus say this? The reason is that in this way Jesus enables people to recognize him as the Suffering Servant of Is 53, he reveals himself as the figure to whom the prophecy refers. The Church’s respect for the words of Jesus, Jesus’ fidelity to the words of “Scripture”: this double fidelity is the concrete reason for the formulation “for many”. In this chain of respectful fidelity, we too take our place with a literal translation of the words of Scripture. Just as we saw earlier that the “for you” of the Luke-Paul tradition does not restrict but rather makes concrete, so now we recognize that the dialectic “many” – “all” has a meaning of its own. “All” concerns the ontological plane – the life and ministry of Jesus embraces the whole of humanity: past, present and future. But specifically, historically, in the concrete community of those who celebrate the Eucharist, he comes only to “many”. So here we see a threefold meaning of the relationship between “many” and “all”. Firstly, for us who are invited to sit at his table, it means surprise, joy and thankfulness that he has called me, that I can be with him and come to know him. “Thank the Lord that in his grace he has called me into his Church.” Secondly, this brings with it a certain responsibility. How the Lord in his own way reaches the others – “all” – ultimately remains his mystery. But without doubt it is a responsibility to be directly called to his table, so that I hear the words “for you” – he suffered for me. The many bear responsibility for all. The community of the many must be the lamp on the lamp-stand, a city on the hilltop, yeast for all. This is a vocation that affects each one of us individually, quite personally. The many, that is to say, we ourselves, must be conscious of our mission of responsibility towards the whole. Finally, a third aspect comes into play. In today’s society we often feel that we are not “many”, but rather few – a small remnant becoming smaller all the time. But no – we are “many”: “After this I looked, and behold, a great multitude which no man could number, from every nation, from all tribes and peoples and tongues,”, as we read in the Revelation of Saint John (7:9). We are many and we stand for all. So the words “many” and “all” go together and are intertwined with responsibility and promise. Your Excellency, dear Brother Bishops, with these thoughts I have tried to set out the basic content of the catechesis with which priests and laity are to be prepared as soon as possible for the new translation. I hope that all of this can at the same time nourish a deeper participation in the Holy Eucharist and thus take its place within the great task that lies ahead of us in the “Year of Faith”. I hope too that the catechesis will be presented soon and will thus become part of the renewal of worship that the Council strove to achieve from its very first session. Merry del Val neither desired dignities nor the responsibilities with which (it being the will of the Supreme Pontiff) he was invested, throughout the years of his wonderful service to Holy Mother Church. He, instead, filled with that profound humility , which sought out hiddeness and the last place in everything, fled from honours and receptions, and loved to dedicate himself with particular care above all, to the most humble duties of his priestly ministry, such as visiting the sick, hearing confessions and preaching. From the 1st of April to the 3rd of July 1897, Mgr. Merry del Val remained in Canada where the Holy Father Leo XIII had sent him as Apostolic Delegate on an extraordinary Mission to resolve a difficult political-religious question which disturbed souls greatly and therefore demanded unusual tact and competence. The mission was brilliantly successful, to the point that the same Supreme Pontiff, in the Encyclical Letter which derived from it, (addressed to the Canadian episcopate) declared that his Apostolic Delegate had carried out his mission in Canada “naviter ac fideliter,” with diligence and fidelity. In 1899 he was named President of the Academy of Noble Ecclesiastics, from where he had come. He sought to be dispensed from such a nomination which destroyed once more his desire for an apostolate amongst the Anglicans, but he had to submit himself to the will of the Pope. On April 19, 1900, he was elected titular Archbishop of Nicea and on the following 6th of May, he received the fullness of the priesthood. On this occasion – after the solemn celebration – instead of the customary party, he wanted to offer lunch to 200 poor people, also giving some new clothing to each of them, in this way, breaking the tradition of having costly and lengthy receptions. His life in the Academy which prepared the young priest for service to the Holy See, was wonderfully edifying. Faithfully observant to the rule, he was present at all the common acts. In the morning, the pupils always found him in the Chapel where he read the points for the meditation. Prostrate at the feet of Your Holiness, and with sentiments of filial submission, I submit to you the intimate desire of my heart and, with solicitation, ask a grace, which, in my eyes, is the greatest which I could obtain from the paternal benevolence of Your Holiness towards the most humble of your sons. Until now I have asked Your Holiness for nothing for myself, and this is the first grace, and perhaps the last, that I implore. I would like Your Holiness to grant me the faculty of renouncing the office which I occupy, though unworthy, in the Academy of Ecclesiastics, and to withdraw to Trastevere, or another part of Rome; where, free from every other commitment, I could consecrate myself entirely to the priestly ministry in the midst of people, and at the same time, work for the good of our foreign brethren in Rome, and especially those who speak the English language. I do not have great financial means, but that which is provided by my family is enough for me to live on decorously, and I neither ask for nor desire more. Perhaps this decision will cause many to be amazed and it could be interpreted in a different way by those who know me; but I will be happy to accept the consequences, certain of doing that which is pleasing to Our Lord. Nothing has caused me displeasure at the Academy, and rather than seeing myself promoted to other responsibilities I would be happy to remain in this Institute until the end of my life. But, if Your Holiness would grant me the grace which I now implore, my happiness would be complete and my gratitude towards Your Holiness eternal. Most Blessed Father, I place at your feet this my prayer, and with sentiments of the most perfect submission to Your sovereign Will, I submit myself. But his request was not granted this time either. If there is a matter that seems to be an obsession in this pontificate begun seven years ago, it is the one related to the Society of Saint Pius X (FSSPX / SSPX). Shortly following its outset, Benedict XVI met their Superior, Bp. Bernard Fellay, in his summer residence of Castel Gandolfo. That was on August 29, 2005. At that time, two communiqués, one by Rome, the other by Menzingen, indicated in unison that it had been agreed to "proceed by stages" in the resolution of problems. 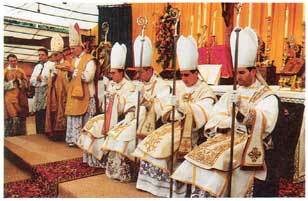 And the most lengthily prepared, most keenly discussed, and most vigorously contested texts of this reign were those that constituted these famous stags: the motu proprio that freed the Traditional Mass, then the removal of the excommunications of the bishops consecrated by Abp. Lefebvre. The 264th Successor of Peter has a rendez-vous with history, come what may. He wants to fix a legacy, half-century-old, one which undoubtedly led him to give up on the Johns and the Pauls to revive the Piuses and the Leos, the Gregories and the Clements, the Innocents, and the Benedicts.Several journalists have remarked on this. This obsession is first based on a matter of personal conscience. On May 5, 1988, following numerous meetings with Abp. 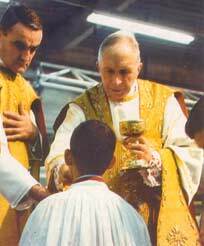 Lefebvre, which had until then led the founder of the SSPX to Paul VI's office, and then to that of John Paul II, Cardinal Joseph Ratzinger reached a historic agreement. The prelate from Écône signed a protocol regularizing the work that he had founded eighteen years earlier. The confidence remained feeble because he was in guard before a Curia that continued to tirelessly celebrate interreligious meetings and to forbid, throughout the world, the celebration of the Traditional Mass. Just a few words from a Cardinal would suffice to make all fall apart. That Cardinal was... Joseph Ratzinger. On the previous day, he had whispered to the Archbishop the terrible idea of having some Masses celebrated in French in Saint-Nicolas du Chardonnet, the historic Paris church of the SSPX. Then, lacking support for it, he had been unable to obtain a specific and definite date for the consecration of the bishop that had been granted. 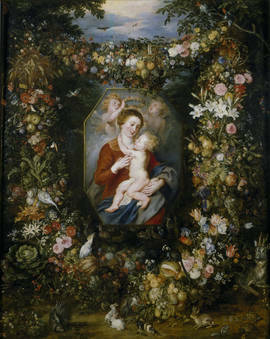 First foreseen for late June, the ceremony was postponed to the Assumption, then following summer, then to Christmas. Confidence eroded. Just before departure, the Cardinal handed to Abp. Lefebvre a model of a letter asking the Pope for forgiveness. It was the last straw. On the following day, May 6, 1988, as the Curia rushed to call journalists to announce the long-expected news, a young priest coming from Albano presented to Monsignor Joseph Clemens, secretary to the Prefect, a letter that he immediately folded again, since his emotion was so intense. The Bavarian monsignor was undoubtedly the only one to witness the distress of his countryman, the Cardinal, as he delivered to him the note by which Abp. Lefebvre reneged upon his signature. 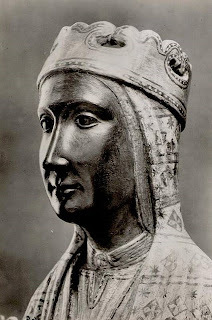 For years, the Cardinal lived with this burden, a burden which he still mentioned to a Central-European bishop shortly before ascending to the chair of Peter. Twenty-four years later, the Cardinal reaches the helm of the Church. Things are going badly, quite badly. All that might have indicated, a quarter-century earlier, that the Traditionalist restoration would never take place has failed. Wojtylian Neo-Conservatism has run out of steam. Charismatism has not managed to revert the trend. In the old Christian nations, the churches are empty, the belltowers fall in disrepair, seminaries close down and the so-called Catholic journals barely survive. What remains is the Pope's case of conscience, with which he busies himself shortly after his election, as one of his collaborators, who had become a Cardinal himself, affirms that the Society has become "a thorn for the Church". But, with the years gone by, the evils of the post-Conciliar period are to be rooted out, as so many bad fruits that the Roman Pontiff can only remove out of fear that they will infect the whole flock. In Austria, and in some European regions, the priests revolt. In the United States, religious women join forces against Rome, all in the name of the Council. Hostile media does not hold back in order to magnify the errors of a clergy that have embraced the world so much that, in some cases, they have taken on its moral vices. The very authority of the Church is mishandled. At the sound of noses that announce every month the end of the pontificate, some dicasteries seem to act individually. Not to mention those dioceses that do not profess the Roman faith anymore. And yet a shock weapon remains for Benedict XVI, this famous affair that worries him, that of the Fraternity. Each step that had brought him closer to it has indicated, at the same time, the growth of the hatred of the adversaries and of victory over them. Pope Ratzinger mentioned it to the Bishops on March 10, 2009: "And should someone dare to approach [the Fraternity] – in this case the Pope – he too loses any right to tolerance; he too can be treated hatefully, without misgiving or restraint." Isn't there in these words of the Pope, pitted against the world, a distant echo of that appeal he launched in the beginning of his pontificate asking for prayers so that he may not flee for fear of the wolves? Truthfully, there remains no other choice. 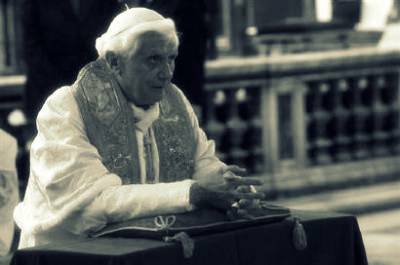 In the spring of 2012, the determination of Benedict XVI seems to be such that the SSPX may not even have the possibility of choosing. The statute will fall upon it from above, by mutual agreement or by force. The Pope wants its regularization with a resolute will, whether or not it accepts the Council, whether or not it accepts the new mass. He undoubtedly does not share the thinking of Marcel Lefebvre and of his disciples, according to whom religious liberty lands a fatal blow on the missionary spirit. Nevertheless, he has taken the chance of opening up doctrinal discussions which, all through the Church, have opened the gates of the questioning of the contested principles of Vatican II. Is the pope truly this sure of himself? By regularizing the Society, even though the doctrinal discussions have failed, he makes it understood, in some way, that one can be of the Church and not espouse the ideas of the last Council, leaving it as an option, as the new mass has been for the past five years. What is certain, and this personal dilemma recalls it, is that the Supreme Pontiff beloieves, before God, that the title of "Catholic" cannot be refused to the work of Abp. Lefebvre. This is the only concern that inspires him. The road is not finished. Let us recall that, in 1988, regularization had failed for problems of a canonical nature that affect mutual confidence. And everything seems to point to the fact that Bp. 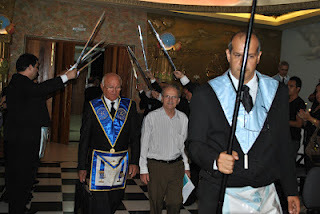 Fellay is more than ever decided to keep the principles claimed by Abp. Lefebvre. Only the context is different. A quarter-century ago, papal determination was not this resolute. Besides, mercy has ceded room to persistence. And now the Roman Pontiff seems to establish, more than ever, a barrier against the fruits of the marriage between the Church and the world - a union that we cannot but identify as conciliar. Whose side are you on, bishop? During his lecture, he claimed that the climate is now conducive to fruitful dialogue and rapprochement between the Catholic Church and Freemasonry. Bp. Demetrio noted that at 71 years of age he still has at least four more years as a diocesan bishop, a period that he can use to push for closer ties between the two institutions. No, we are not making up this stuff. Montserrat: the sublime mother-monastery of the ancient Crown of Aragon. Our Lady of Montserrat is the Queen of Catalonia - her house on the high hills outside Barcelona is one of only a couple of very ancient, very renowned, most influential, and still active abbeys in the Iberian Peninsula, comparable to very few other places, such as Silos. A healthy patriotism, a pride of ancient Catalan roots, always existed in Montserrat, and it reached great levels as the liturgical movement progressed in the 20th century, and as the Benedictine Abbey became the most relevant liturgical actor in Spain. But then, something happened: the 1960s, as the UNMENTIONABLE EVENT transformed Montserrat as it transformed the Church. Liturgy became revolutionary, patriotism became bigotry, vocations transformed into dust. May it be the first of many; may the soul of Catalonia, Spain, Iberia, and all of Europe rise again. "With God, all things are possible." (Mt xix, 26). "The supreme rule of her faith and power of life"
The Pontifical Biblical Commission held its annual plenary session last week, from 16 to 21 April, in the Domus Sanctae Marthae in Vatican City, under the presidency of William Joseph Cardinal Levada, prefect of the Congregation for the Doctrine of the Faith. As at last year's plenary session, Fr. Klemens Stock, SJ, secretary general, chaired the session. The PBC is still in the first stage of its study, in which it is focusing on the way in which inspiration and truth appear in Holy Scripture. Each participant in the session presented a report that was discussed by the whole assembly. As we know, such a topic is essential for a correct hermeneutic of the biblical message. Precisely inspiration, as action of God, makes it possible to express the Word of God in human words. Consequently, the topic of inspiration is decisive for the appropriate approach to the Sacred Scriptures. In fact, an interpretation of the sacred texts that neglects or forgets their inspiration does not take into account their most important and precious characteristic, that is, their provenance from God. Moreover, in my Post-Synodal Apostolic Exhortation Verbum Domini, I recalled that “The Synod Fathers also stressed the link between the theme of inspiration and that of the truth of the Scriptures. A deeper study of the process of inspiration will doubtless lead to a greater understanding of the truth contained in the sacred books.” (n. 19). Because of the charism of inspiration, the books of Sacred Scripture have a direct and concrete force of appeal. However, the Word of God is not confined to what is written. If, in fact, the act of Revelation ended with the death of the last Apostle, the revealed Word has continued to be proclaimed and interpreted by the living Tradition of the Church. For this reason the Word of God fixed in the sacred texts is not an inert deposit inside the Church but becomes the supreme rule of her faith and power of life. The Tradition that draws its origin from the Apostles progresses with the assistance of the Holy Spirit and grows with the reflection and study of believers, with personal experience of the spiritual life and the preaching of Bishops (cf. Dei Verbum, 8, 21). In studying the topic “Inspiration and Truth of the Bible,” the Pontifical Biblical Commission is called to offer its specific and qualified contribution to this necessary further reflection. In fact, it is essential and fundamental for the life and mission of the Church that the sacred texts are interpreted in keeping with their nature: Inspiration and Truth are constitutive characteristics of this nature. That is why your endeavor will be of real usefulness for the life and mission of the Church. With good wishes to each one of you for the fruitful development of your works, I would like, finally, to express my heartfelt appreciation for the activity carried out by the Biblical Commission , committed to promoting knowledge, study and reception of the Word of God in the world. 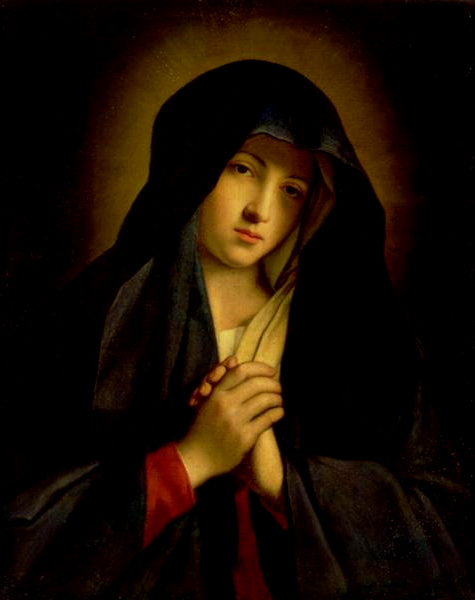 With such sentiments I entrust each one of you to the maternal protection of the Virgin Mary, who with the whole Church we invoke as Sedes Sapientiae, and I impart from my heart to you, Venerable Brother, and to all the members of the Pontifical Biblical Commission a special Apostolic Blessing. Besides the supreme ideal of the Priesthood, God placed in the heart of young Mgr. Merry del Val that which would always remain the great passion of his life: the conversion of the Anglicans. Under the guidance and at the service of the Supreme Pontiff, Leo XIII, in fact,he would work indefatigably – by prayer and action- for the return to God of that which was defined “the land of the Angels” England, his beloved homeland. Having been ordained a priest, the young Monsignor finally hoped to be able to dedicate himself to the conversion of the great nation of his birth. This was the passion of his entire existence. But, though, in his untiring apostolic zeal, he had worked for the conversion of many Anglicans, Divine Providence had other plans for him. 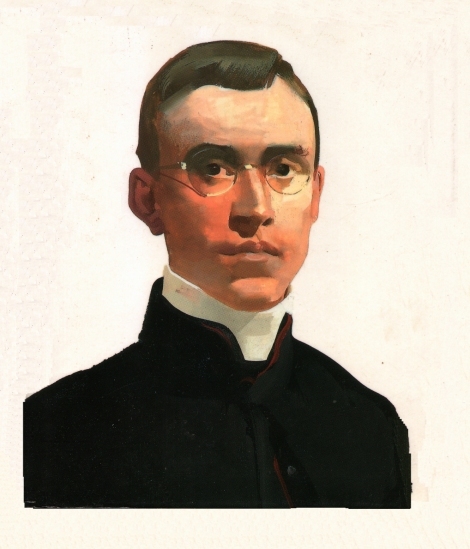 Meanwhile, notwithstanding his noble lineage, in 1889, during his free hours, he began to exercise his priestly ministry amongst the youth and the poor of the populous area of Trastevere, establishing the first foundations of that pious Association which would become one of the most beautiful jewels of his priesthood. In 1891, Mgr. Merry del Val was nominated private Chamberlain of His Holiness. By this, the Holy Father Leo XIII called him to his direct service, admitting him to his noble pontifical Antechamber. The young prelate was not enthusiastic about this nomination, since he saw that his dreams of an apostolate amongst the Anglicans of his homeland would not be fulfilled. With humility of heart and words, he expressed to the Holy Father, his disturbance of heart, his desires and above all the request to be exempted from that duty, desiring to live as a simple priest. The Pope answered him with a question: “Tell me, Monsignor, are you disposed to obey the Pope and to serve the Church?” “Yes, if your Holiness commands it of me!” replied the young prelate, moved. “Very well,” concluded the Pope. At these words, which would mark his life, the Monsignor bowed his head to the will of the Vicar of Christ and set forth, without reticence, upon the path which the Lord had showed him. In reality, Leo XIII wanted to make use of the young prelate above all for the questions regarding the Anglican countries, and in particular England. One can imagine with what ardent zeal and untiring charity Merry del Val would correspond to the desires of the Holy Father to help the return of the Anglicans to the bosom of the one Church. 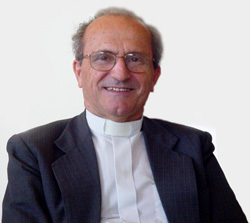 And in fact he played an important part in the editing of the Encyclical Ad Anglos regnum Christi in fidei unitate quaerentes of the 14th April 1895, in which the Pope recommended the unity of minds and hearts in one Faith alone, inserting also a marvelous prayer to the Sorrowful Virgin for the conversion of the “separated brethren” and their return to Rome, which was composed by the young Merry del Val. But still more incisive was his intervention in the difficult question of Anglican ordination, the validity of which had been disputed for centuries without any conclusions ever having been made. He well knew that the hope of the return of the Anglicans to the Church of Rome could not be nourished unless the question of Anglican ordinations was clearly defined. That is why he insisted that they should proceed to such a decision, without giving into compromises of any sort, nor to the pressure which came from the Anglican world. By this singular experience of the Anglican world and by the light which came to him from his intense prayer life, Merry del Val marked the fundamental lines of the Encyclical Apostolicae curae of the 13th September 1896 with which the Pope pronounced in a definitive way on the invalidity of the ordinations of the Anglican clergy. The Encyclical had a vast echo in the Anglican world as much as it had in that of the Catholic. This was followed by a publication of a study by the young Monsignor entitled: “Regarding Anglican Ordinations: An unpublished document on the religious situation in England,” which raised much interest. In it, the future Secretary of State revealed (apart from his profound knowledge of the Anglican world) his theological competence and ability as a polemist. He understood that the return of the separated brethren implied a conversion, and that such a conversion in order to be authentic, demanded the recognition of the specific error. Cardinal Merry del Val, ardently zeal for the conversion of the English Protestants, for whom he would work so much, knowing well that the most valid means of defense of the apostolate is prayer, and that the Mediatrix of all graces is Mary, composed a beautiful prayer to the Sorrowful Virgin which the great Leo XIII, of happy memory, wanted to add a heartfelt appeal to his separated sons. “O Blessed Virgin Mary, Mother of God and our most gentle Queen and Mother, look down in mercy upon England, Thy dowry, and upon us all who greatly hope and trust in Thee. By Thee it was that Jesus, our Saviour and hope, was given to the world, and He hath given Thee to us that we may hope still more. Plead for us Thy children, whom Thou didst receive and accept at the foot of the Cross, O Sorrowful Mother. Intercede for our separated brethren, that with us in the one true fold they may be united to the Chief Shepherd, the Vicar of Thy Son. Pray for us all dear Mother, that by faith fruitful in good works we may all deserve to see and praise God, with Thee in our heavenly home. Amen. 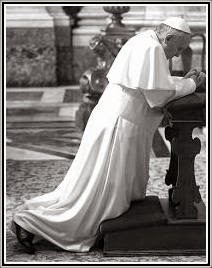 For the record: "The Pope will decide in May"
The rite and formulas for the sacrament of penance are to be revised so that they more clearly express both the nature and effect of the sacrament. "In the course of the Eucharist with Children, the Confession of sins was not auricular, but each person previously wrote his sins on a piece of paper and then, in the Celebration, the Priest, after reading each, granted absolution to all those who confessed. They were mostly Children, Teenagers, and young adults joined this initiative, but also many adults followed on the steps of the young. 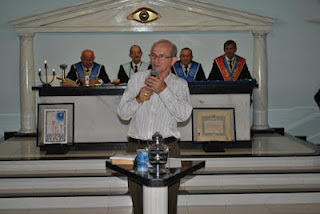 While the priest, Father Julio Grangeia, read the sins, the Arcel choir, of the Parish of Espinhel (Deanery of Agueda, Diocese of Aveiro, Portugal) sang penitential chants in order to create a more appropriate environment." It would be presumptuous of us, after years of covering certain matters, to try to influence how events are to be "interpreted". We trust our capable readers can read the lines, between them, and all the space around them: everything seems clear. And Eastertide is a wonderful time of the year: sensing the blossoming flowers, even deep within our cities, we know the month of Mary is at hand. And with it, glorious tidings: ecce nova facio omnia, the Resurrected Lord makes all things new because he can. National Board of the LCWR. Photo source. The text of the response of His Excellency Bp. 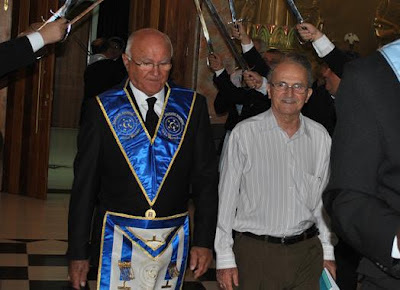 Bernard Fellay, Superior General of the Priestly Fraternity of Saint Pius X, requested during the meeting in the Congregation for the Doctrine of the Faith of March 16, 2012, was delivered on April 17, 2012. This text will be examined by the Dicastery and submitted afterwards to the judgment of the Holy Father. "Today's news means that yesterday Bp. 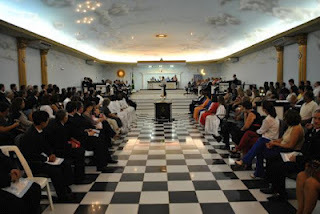 Fellay's response, that had been requested by Cardinal Levada at the last meeting, was delivered to the Congregation, to the Ecclesia Dei Commission, to the Congregation for the Doctrine of the Faith. Now, this response, it is a reponse that, according to the words of those who could see it, is a very different response from the previous one, and this is encouraging, we proceed forward. But, naturally, we also find in the response the addition of some details or integrations to the text of the doctrinal preamble that had been proposed by the Congregation for a doctrinal agreement, and this response will be discussed, it will be examined first by the Congregation for the Doctrine of the Faith, in one of its meetings of the next few weeks and, afterwards, it will also naturally be examined directly by the Pope. It can be said that steps forward have been taken, that is to say, that the response, the new response, is rather encouraging, but there are still developments that will be made, and examined, and decisions that should be taken in the next few weeks. I think the wait will not be long because there is the desire to reach a conclusion in these discussions, in these contacts." The media are announcing that Bishop Bernard Fellay has sent a “positive response” to the Congregation for the Doctrine of the Faith, and that consequently the doctrinal question between the Holy See and the Society of St. Pius X is now resolved. In a letter dated April 17, 2012, the Superior General of the Society of St. Pius X responded to the request for clarification that had been made to him on March 16 by Cardinal William Levada concerning the Doctrinal Preamble delivered on September 14, 2011. As the press release dated today [April 17] from the Congregation for the Doctrine of the Faith indicates, the text of this response “will be examined by the dicastery then submitted to the Holy Father for his judgment”. At the hour when DICI is being published, despite all the hypotheses and predictions of the international press about the imminence of a canonical recognition of the Society of Saint Pius X by the Holy See, nothing is certain. An allegedly sensational article by the Vatican-watcher Andrea Tornielli announced on the evening of April 17 that a “positive response” from Bishop Bernard Fellay arrived at the Congregation for the Doctrine of the Faith. In reality it was a set of written clarifications that Cardinal William Levada had requested of the Superior General of the Society of Saint Pius X, which now must be studied by that dicastery and then submitted to the judgment of Benedict XVI. In this issue we review the commentaries by journalists who stir up among some people hope one minute and apprehension the next, and among other people—fear or joy. But it is important to remember that all these commentaries, like the sentiments or resentments that they provoke, have to do with mere speculations. DICI, for its part, will not discuss facts until they have been verified. For updates and to add your comment, go to the main post: SSPX spokesman confirms modified preamble was signed and sent. For updates and comments, see the main post: SSPX German District repeats content of Tornielli's post.